You know when you place an order online, and you're less than $5 away from free shipping? Well that's what happened to me when I was placing an order online the Forever21 site. I noticed they had some face masks for decent prices, and I decided to give this Cucumber Sheet Mask a try. For $2, what could go wrong? This is from their Love & Beauty line. 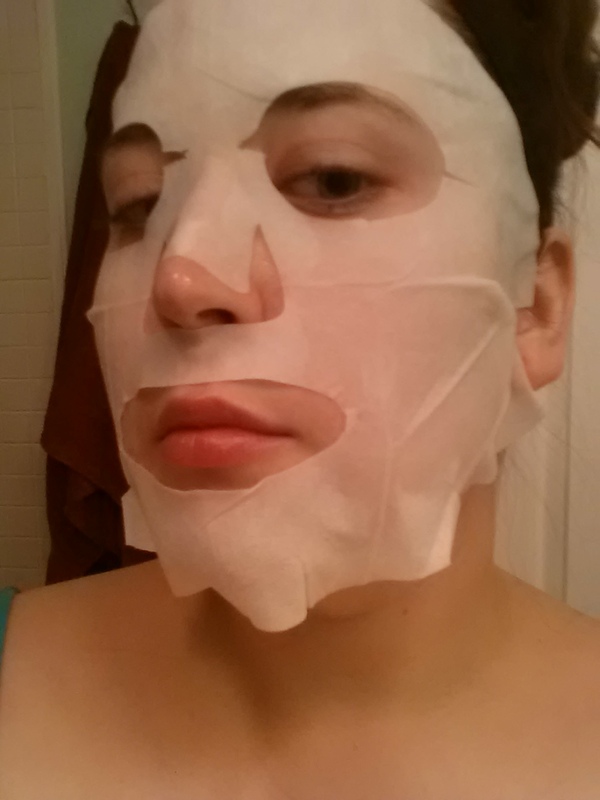 The cucumber mask is good for those with sensitive skin. 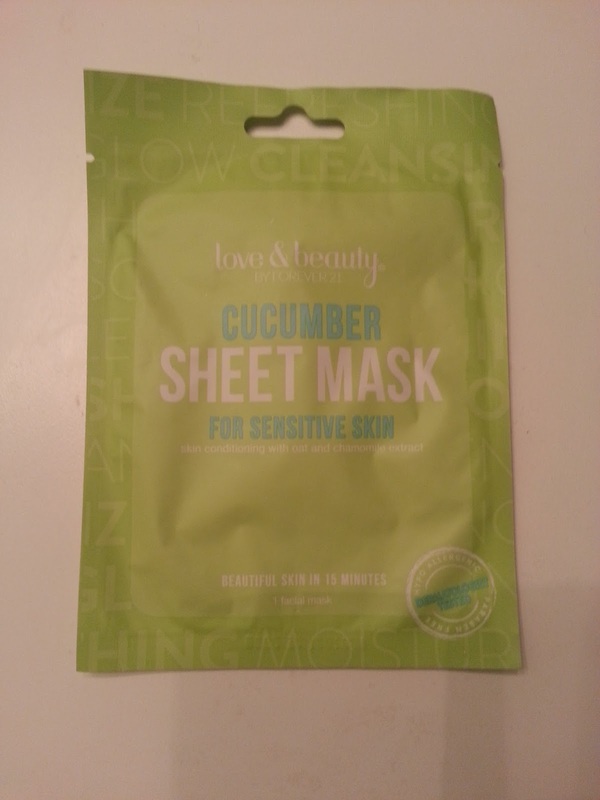 I enjoy using cucumber masks on my face because they are gentle, and help with redness. This works like every other sheet mask. Wash your face, remove mask from package and apply on your face. I will usually apply the mask after I have used toner on my skin. Also, when there is extra essence in the package, I like to put it on my face before applying the mask, just for a little extra something. For some reason, this mask didn't have any extra essence. I applied it anyway. The fit itself was odd. It was too small in the forehead area, so if I pulled it closer to my hair line, the whole mask shifted upwards and didn't sit properly. The nose area was short. If you can see closely, the mask wouldn't sit on my face around my neck/chin area because it had so little essence, it wouldn't stick down. It was just so awkward. I left it on for the recommended 15 minutes, and by then I had enough. Since it had barely any essence, it didn't want to stick on my face, so it kept popping up. Although my skin did feel hydrated in the areas it actually sat on, I was disappointed by the fit and lack of essence. For $2 I could get a better mask from The Face Shop, so I won't be trying these Love & Beauty sheet masks again.